Customization, Sale, Rental, Installation and Assistance. We offer a service of 100% full customization. 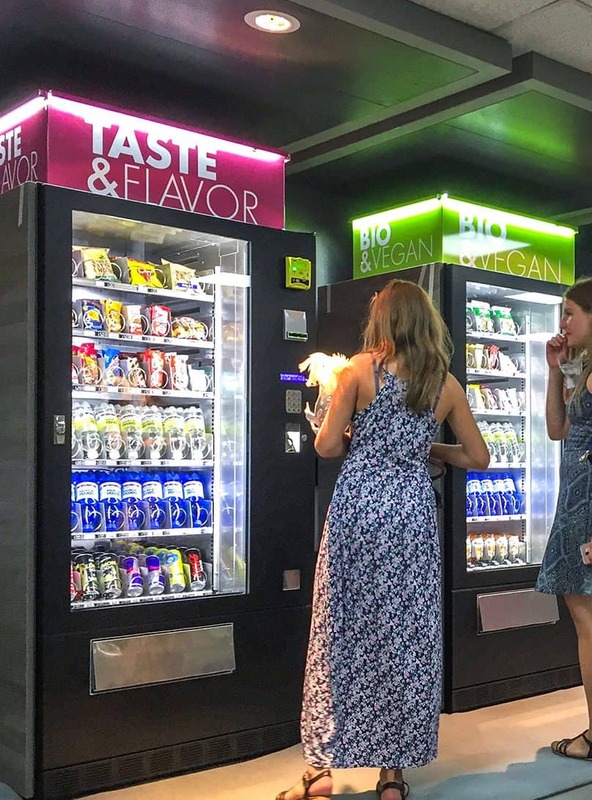 You can graphically customize your vending machine and put your company colors and logo in order to really transform it into your personal vending machine. And graphics isn’t everything. Depending on the products that you want to supply, we can customize trays’ numbers and dimension, creating an optimal configuration for your business. With our 30 years of experience, we can give you the best suggestions. For the most demanding customers we can suggest several embellishments for the machine to make it captivating and really special. We internally produce and assemble the vending machine. We create the proper configuration for your demands and we customize the machine with the graphics and accessories you want. We organize the transport of your custom vending machine. Our technicians will come in your company to install your Adimac customized machine. Do you have an original idea or unusual product that you want to sell with a vending machine? We can build the unique automatic machine according to your needs. Contact us and without any obligation if you need prices and catalogs or if you need a specific vending machine for your products. 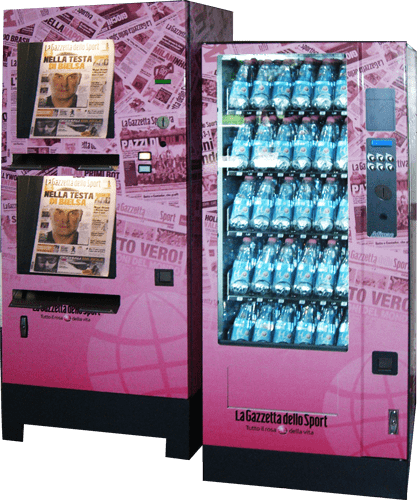 We aesthetically and functionally customize your vending machine: graphics, trays configuration, payment systems and embellishment accessories. Let your vending machine be unique! Adimac is also your point of reference for after-sale and repair. Operating rentals allow you to enjoy all the vending machines’ benefits without getting heavier your business budget. Contact us to find out its advantages. In order to guarantee the maximum quality, we personally take care of the transport and the installation on site.